As the director of school nutrition for the school district, Gross is the brains behind the school breakfast and lunches. 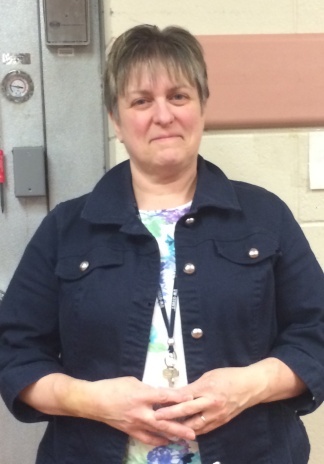 However, after a 33-year reign, Gross will retire at the end of the school year. 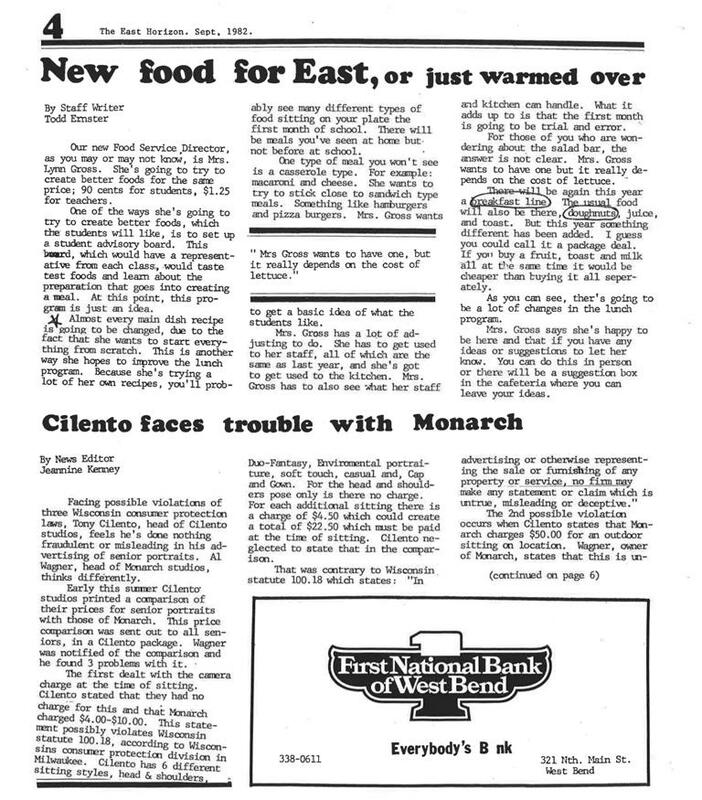 When Gross came out of college in 1982 with degrees in management and preparing food, fate aligned when there was a job opening at West Bend. Back then, only 38% of students took the school lunch. She has worked hard to make that number increase to over 60% today. 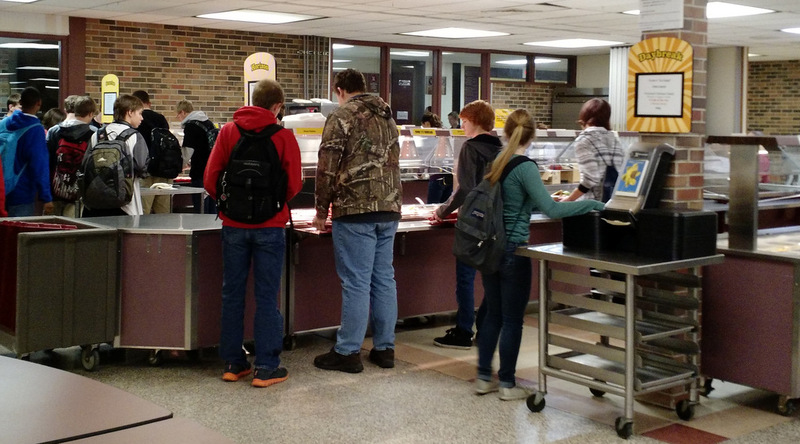 With the wide assortment of food and the four available lunch lines, most students find it easy to pick something they like. “The variety of lunch has definitely improved. The take-and-go salad is very convenient and a good addition,” said Maranda Murphy, a sophomore at East. Though it’s been tough for Gross at times, it’s clear that she has greatly impacted the nutrition program. Gross has helped build four new kitchens throughout her tenure, including ones at Silverbrook and Badger and, in 1996, an updated kitchen for the high schools. This has helped the food remain fresh and delicious. 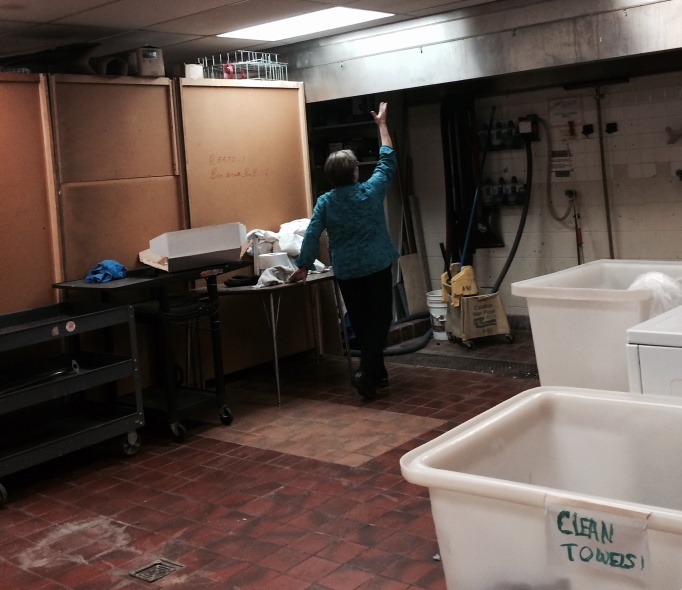 Lynne Gross gave The Current a tour of the old WBHS kitchen area, which was replaced in 1996. Click to enlarge photo. “To be able to put in a facility of that quality, and see how well the kids like it, how nice the food is… It’s just a happy place,” Gross said. The facility improvements have allowed the nutrition program to flourish under Gross. She has been able to experiment with new types of foods that have become cafeteria staples. Some successes came in strange places, such as the spicy chicken at Badger. “We actually had 200 more kids eat lunch every day at that school because they were all in the spicy chicken line. And talk about weird things—I mean, who would have predicted that? I can’t stand spicy chicken!,” Gross said. Other recent successes have been the burger bar and the chef salads. Gross said that she has really enjoyed working with the staff at West Bend. Upon her retirement, she plans to have a few months of well-deserved rest. “Whoever her replacement is, they have some big shoes to fill,” said Greymont. Lynne is awesome, thanks for feeding me for the last 17 years! When I was a fifth grader at McLane, I wrote a story about school lunches. I remember Mrs. Gross was very helpful and told me how much money was spent on each part of the meal.